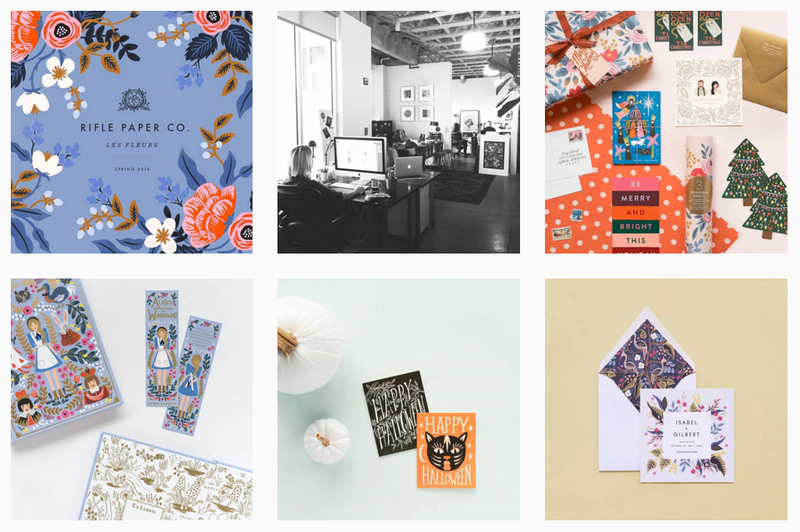 1) riflepaperco See all the latest designs from the talented team at Rifle Paper Co – it’s the perfect way to feed our obsession with their super-cute designs! 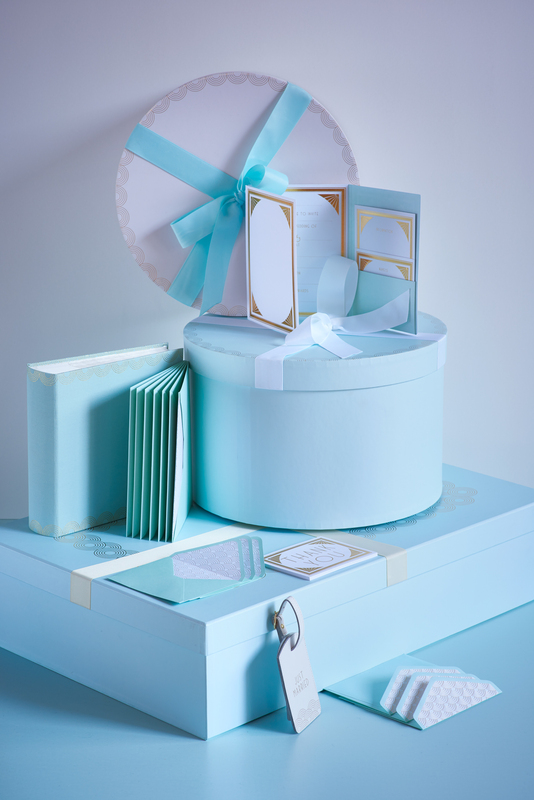 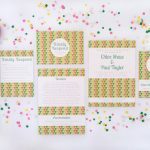 We always love to see something a bit different hit the UK stationery market, and this Lucky Us DIY wedding invitation pack from Wedding in a Teacup offers a quirky way to give your invites a personal touch. 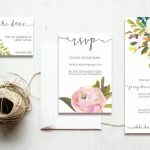 We love a bit of kraft card for a rustic wedding, and these typographic Rustic Charm invites from Silver Deer are just the thing for a late summer celebration in the country! 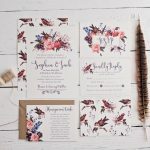 Being based in Bristol, we’re suckers for a hot air balloon, so The Lovely Drawer‘s Let’s Fly Away wedding invites brightened our week when they popped into our inbox. 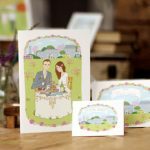 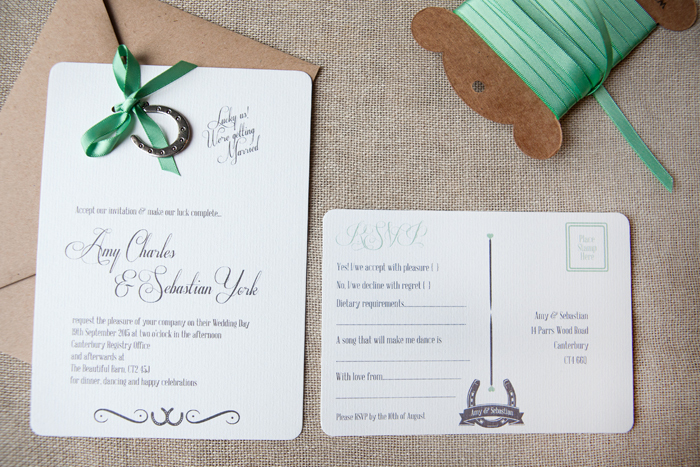 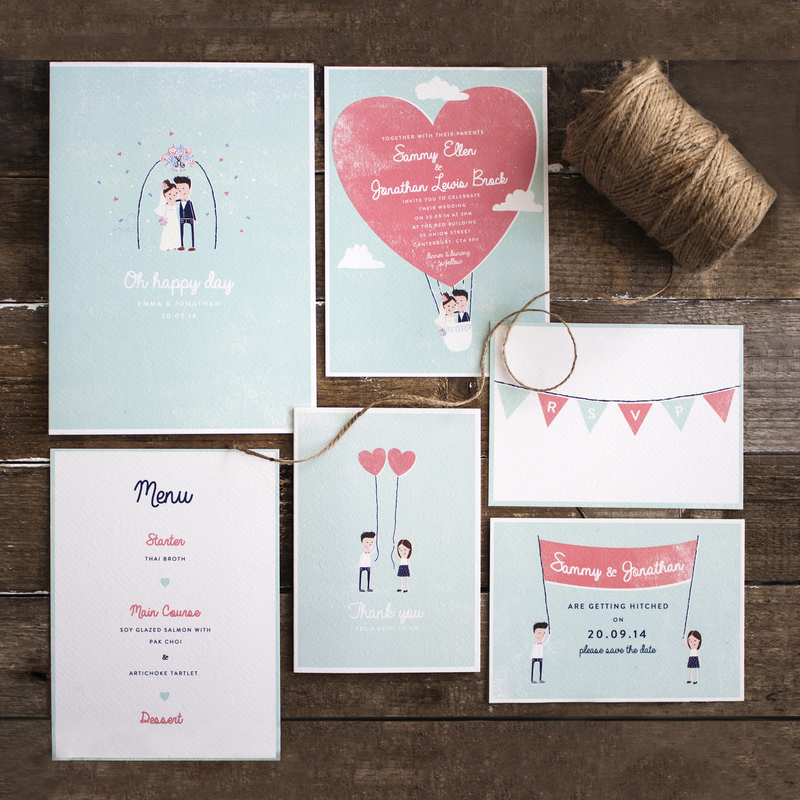 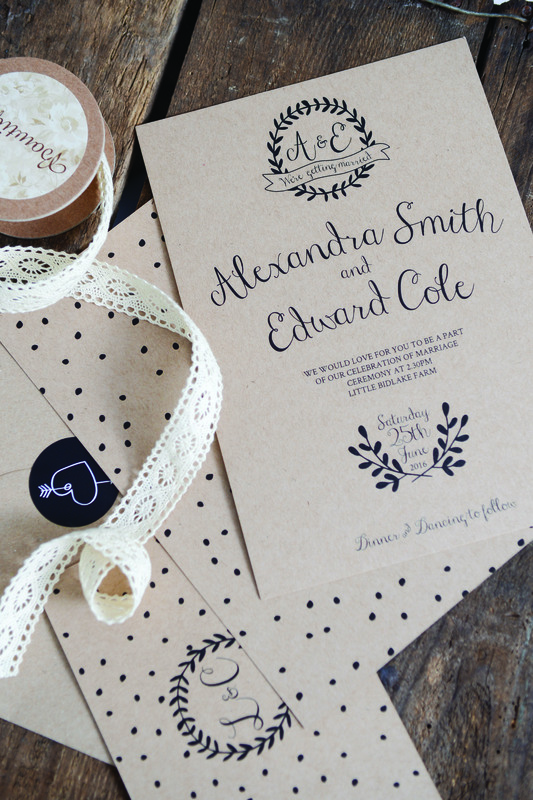 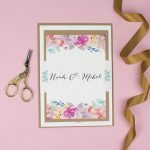 Featuring cute illustrations of the bride and groom, these pretty balloon and bunting wedding invites are just the thing for a relaxed summer celebration with a personal touch. 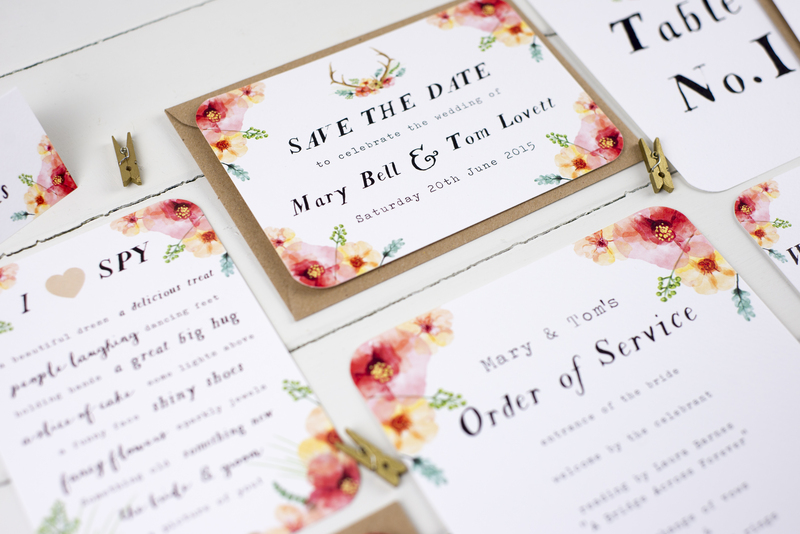 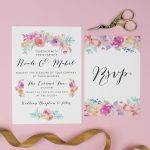 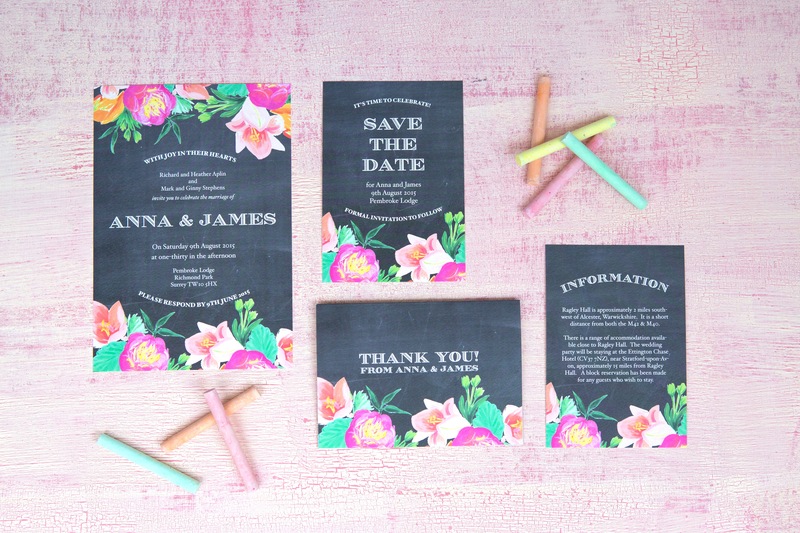 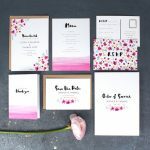 We can’t stop thinking about these perfectly pretty colour wash wedding invites from Pip Designs. 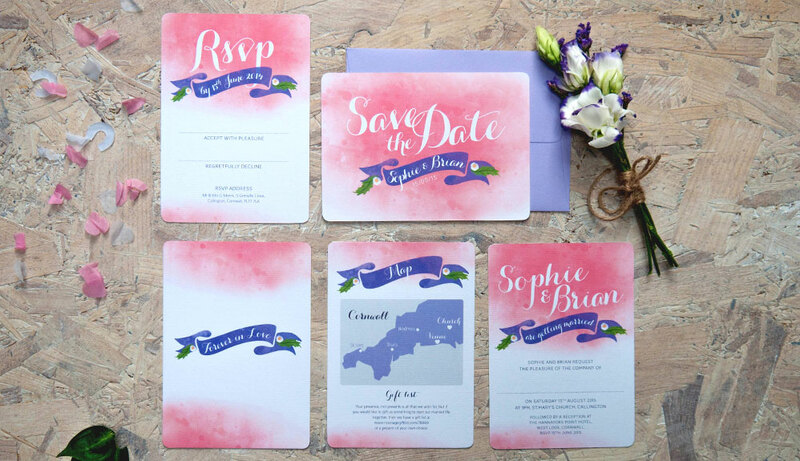 The watercolour effect and gorgeous calligraphy of this Forever in Love collection feel totally 2015, while the delicate pink and purple colour palette is perfect for a romantic English country wedding. 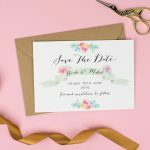 Regular readers know all about our ongoing crush on Nina Thomas‘ beautiful hand-painted wedding invites, and the new Wilderness range is doing exactly nothing to put an stop to it.